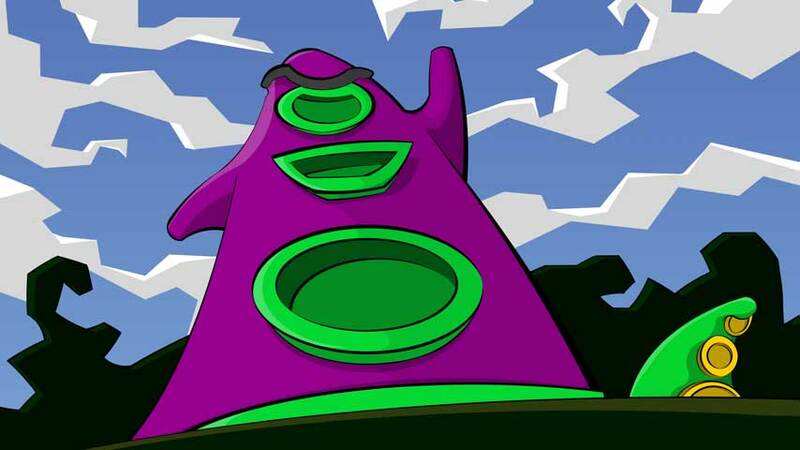 We fell right in line with LucasArts on this one and followed up our acclaimed Maniac Mansion with the sequel: Day Of The Tentacle. This is the game that Jason and I remember playing the most as kids, so it was a blast going back to play this lovely piece of SCUMM. Hopefully you were able to play the game a bit, but even if you weren’t we think you’ll still get a kick out of learning a little more about this fun game. Let us know what you think! That book we keep mentioning is Rogue Leaders: The Story of LucasArts by Rob Smith, and it’s a fantastic overview of the history of LucasArts with thousands of stories and illustrations. I always learn something new every time I open it up. Ben’s beer was Brew Dog’s The End of History and his song was “Everything Is AWESOME!! !” by Tegan and Sara (feat. The Lonely Island) from The LEGO Movie. This entry was posted in Episodes and tagged DOTT, Maniac Mansion, Podcast.